The Canada Mortgage and Housing Corporation says the housing market is still showing a high degree of vulnerability for the 10th straight quarter, despite some indications of price correction. The Canada Mortgage and Housing Corporation (CMHC) says the housing market is still showing a high degree of vulnerability for the 10th straight quarter, despite some indications of price correction. In its quarterly housing market assessment, CMHC found that there are is still some market overvaluation — one of four factors the agency tracks to evaluate market vulnerability — in Canada's sky-high housing markets. But in two of those cities prices may be coming somewhat closer to earth. 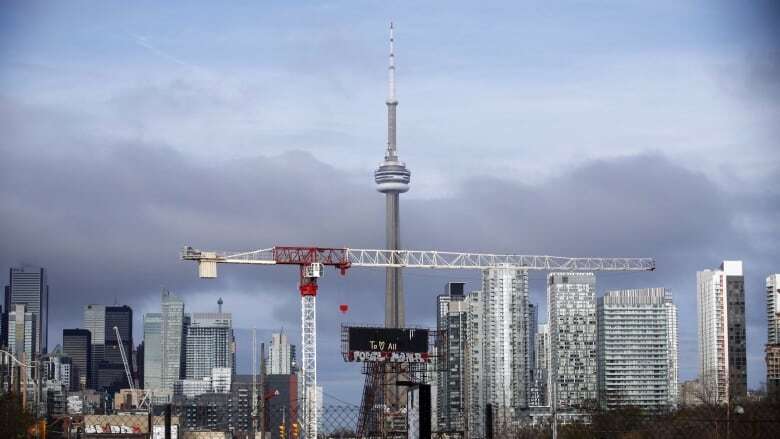 "We are seeing overvaluation pressures unwinding in Toronto and Victoria, despite the fact that Canada's overall vulnerability remains high," said Bob Dugan, chief economist of CMHC. Overvaluation occurs house prices are elevated compared to personal disposable income, population, interest rates and other factors. In Vancouver, overvaluation remained high between the last quarter of 2018 and the first of quarter of 2019, while in Victoria and Toronto it moved from high to moderate. Hamilton's overvaluation stayed the same at moderate levels. Additionally, the report found that there is moderate overall vulnerability in Edmonton, Calgary, Saskatoon, Regina and Winnipeg, where there is moderate to high overbuilding. That's when the number of rental vacancies and unsold newly built housing units are higher than normal. "Nationally, overheating and overbuilding remain low," said Dugan.